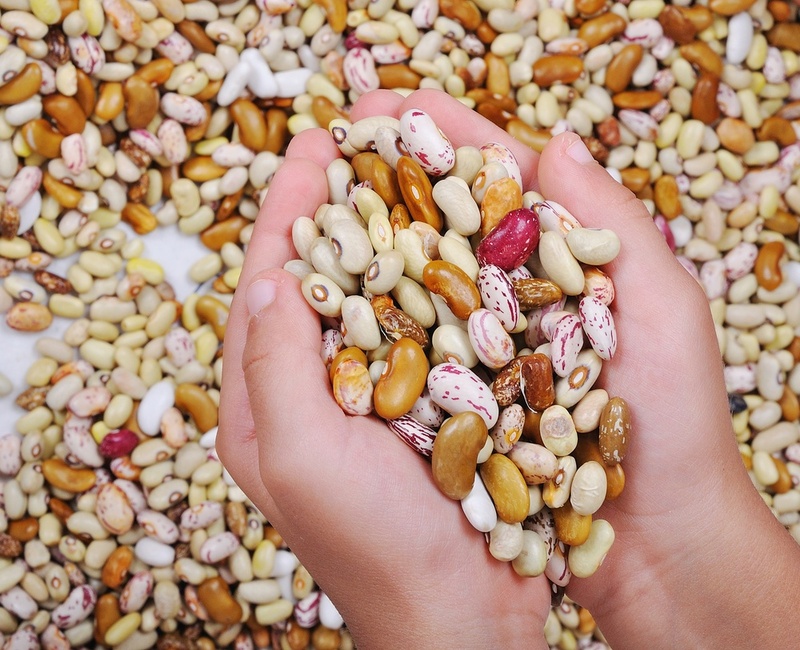 There are typically three ways you'll store beans in your pantry- frozen, canned, and dried. Whole beans require very little effort to prepare. Your main choice is usually to either cook them from scratch, thaw them, or open a can of them. While cooking from scratch takes the most time, it’s mostly unattended. I personally think the best way to cook dried beans is to make a big batch or two on a weekend when I’m home and plan to be just puttering around the house. When they’re done, I portion them out into one cup portions, cover them with their own liquid, and freeze them. Cooking beans from dried yourself allows you to control the texture. That’s desirable when you’re making something like a bean salad and you need them to keep their shape. They’re also super inexpensive per serving - at .99/lb, it comes out to about .16 per cup cooked. This method has the longest cooking time, though it’s unattended for the most part and you can make large quantities and freeze them in portion sizes. Using canned beans is undeniably fast and convenient. It’s a bit pricier per serving and you get a lot of added sodium if you aren’t careful (and willing to pay more). 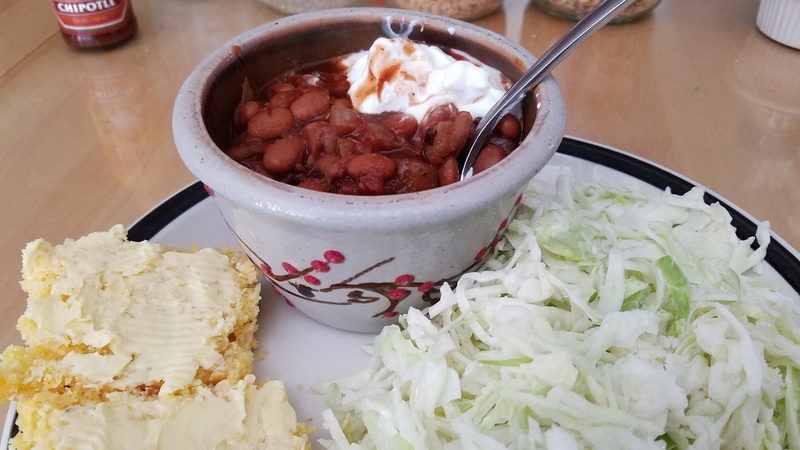 I use canned beans quite often myself and I’m all for it! Start by straining and rinsing the beans. Then pick through them with your hands a bit to make sure there aren’t any rocks, discolored beans, or anything else in there. Beans are well rinsed before they even get into the bag so 97% of the time you won’t find anything, but better safe than sorry here (crack a tooth on one rock and you’ll regret not taking the extra fifteen seconds). After they’re rinsed, decide if you want to soak the beans in water prior to cooking or not. With the exception of kidney beans (which you must soak) and chickpeas (which just take forever if you don’t), it’s totally up to you. Soaking the beans cuts down the cooking time a bit, so do it if you can plan ahead enough, but if you’re home anyway might as well just cook ‘em. Soaking time depends on the bean - generally a few hours for smaller beans like navy beans, or up to overnight for larger beans like chickpeas. I generally don’t bother. The beans cook unattended anyway, and you don’t know exactly how long they’ll take so tacking on a bit of extra time doesn't really matter. When you’re ready to cook the beans, simply put them in a pot, cover them with about 2-3 inches of water, and bring to a boil. You can also flavor the beans by adding onion or other seasonings to the pot. If you’re cooking a big batch though, it makes the most sense to just leave them plain so you can season them on their own with the dish you’re cooking. Adding salt at the beginning will also help them retain their shape better, so if that’s what you’re after go ahead and add a pinch now. Once they start to boil, immediately turn down to a low simmer. The low simmer is important. You want to keep the bean skins from breaking and let them retain their shape - although if you’re mashing, pureeing, or just want them to be really tender and creamy than boil away. From there, simmer and check periodically until they’re the desired tenderness - anywhere from an hour to several hours depending on the size and age of the bean. Controlling the tenderness is one of the primary advantages to cooking beans yourself, which is important if you’re making something like bean salad where you’re looking to discourage a really soft texture. The cooking time on beans differs greatly based on size, age, and whether or not they were soaked, even for the same bean. A small bean, like a navy bean, will generally take 2-ish hours (less if soaked), whereas chickpeas could take 8 hours or more if not soaked. You can cook one batch of navy beans in two hours, but get another batch that takes three because it’s older and drier (and there’s really no way to tell when you buy them). You’ll know they’re done the same way you know when pasta is done - taste them. You don’t want any hardness or crunch at all. I take mine out of the bags and put them in Mason jars (Mason jars are an efficient shape for my pantry and they’re cheap) but you can keep them in the bag, store them in plastic containers, whatever works best for you. Here’s a #protip though - you should always label and the easiest and least expensive labeling system in the world is simply masking tape and a sharpie (you’re welcome). The shelf life on beans is basically forever, though they do take longer to cook the older they get. Canned beans are undeniably the most convenient option, and one you shouldn’t hesitate to rely on. Just open, rinse, and go. Be really wary of added salt though, and like everything else in life the trade off for convenience is that they’re more expensive than dried. The texture of canned beans is always the same - super tender. You’ll don’t have any control on that front, but most of the time canned texture are perfectly satisfactory. I’m a big fan of canned myself, though I always make sure I buy canned beans without any added sodium (I prefer to add my own salt, thank you). One exception here - lentils cook up so quickly that there isn’t really a need to buy them canned. Canned beans, like most canned goods, last for many years, so go ahead and stock up when there’s a sale. Frozen beans are picked fresh from the vine and then frozen. These are a bit different and quite lovely. Just thaw in warm water, drain, and use them in dishes. They’re not great in salads or bean dips as they do benefit from a bit of cooking. They’re a perfect addition to sautéed dishes or stir fries as you can simply throw in a handful and they cook up quickly. These will keep for a couple of years in the freezer, so don’t be afraid to buy and try different kinds. My favorites are edamame, lima, and of course peas. Have questions about cooking or preparing beans? Help us build out this section by submitting your question in the form below, and we'll respond and post your question here.